Global Announces 2017 Summer Lineup! Global jump-starts summer with a primetime lineup stacked with the hottest new dramas, high-stakes reality, and some of the most anticipated returning series. Kicking off Global’s summer schedule is the return of Canada’s favourite detective duo, Shade and Angie, as last summer’s #1 new series* Private Eyes is back Thursday, May 25 at 8 p.m. ET/PT. Starring Jason Priestley and Cindy Sampson, Season 2 welcomes new cast members including Samantha Wan (Second Jen), Sharon Lewis (Degrassi: The Next Generation), Bree Williamson (One Life To Live), and Mark Ghanimé (Reign). In anticipation of the Season 2 premiere, viewers can catch up on the first season on GlobalTV.com and Global Go. 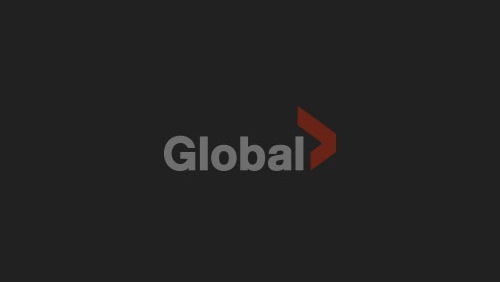 Joining Global’s Private Eyes is a new dark fantasy series plus two new must-see dramas. Inspired by L. Frank Baum’s 14 Wizard of Oz books comes a mystical land of competing kingdoms, lethal warriors, and dark magic in Emerald City premiering Monday, May 22 at 8 p.m. ET/PT. Then in July comes suspense drama Salvation, currently shooting in Toronto, debuting on Wednesday, July 12 at 9 p.m. ET/PT. Spicing up Global’s summer lineup later that month is Canadian produced thriller drama Somewhere Between on Monday, July 24 at 10 p.m. ET/PT. Kicking off after a dramatic Season 3 conclusion which saw a staff walk-out and a refugee camp bombing, The Night Shift returns to Global for its fourth season on Thursday, June 22 at 10 p.m. ET/PT. Global’s summer dramas are complemented with a slate of red-hot reality programming beginning with new game show The Wall, which slides into Global’s lineup Monday, May 8 at 10 p.m. ET/PT. Then, back with new teams racing across specially designed grueling courses, Spartan: Ultimate Team Challenge returns to Global beginning Monday, June 12 at 10 p.m. ET/PT. And finally, last summer’s #1 series among millennials (A18-34)**, fan favourite Big Brother returns Wednesday, June 28 at 8 p.m. ET/PT for another season of larger-than-life characters, huge moves, and over the top drama. New episodes from Big Brother Season 19 will air Sundays at 8 p.m. ET/PT, Wednesdays at 8 p.m. ET/PT, and Thursdays at 9 p.m. ET/PT. Special presentations also join the summer lineup including buzzed about Saturday Night Live: Weekend Update, a four-episode order, half-hour broadcast featuring funnymen Colin Jost and Michael Che premiering on Thursday, August 10 at 8 p.m. ET/PT. Earlier in the summer, viewers can catch the Indspire Awards 2017 – a ceremony that recognizes the highest honour that the Indigenous community bestows upon its own achievers with a night of music and celebration – on Saturday, July 1 at 7 p.m. ET/PT. Then, the Teen Choice 2017, a live event that gives teen viewers the chance to vote for the year’s biggest achievements in music, movies, sports, television, fashion, and more, hits the schedule later this summer. Swept up into the eye of a tornado, 20-year-old Dorothy Gale (Adria Arjona) is transported to another world – a mystical land where an all-powerful ruler (Vincent D’Onofrio) governs over one kingdom, has outlawed magic, and faces not only the wrath of a growing cauldron of witches but a looming disaster brought on by a mythical force. Epic, romantic, and fantastical, Emerald City is an empowering tale of a young woman finding her true strength and identity even as she battles to bring a divided world together. Ex-pro hockey player Matt Shade (Jason Priestley) irrevocably changed his life when he decided to team up with fierce PI Angie Everett (Cindy Sampson) to form an unlikely investigative powerhouse. Now, this dynamic duo has found their rhythm both on and off the case. They still view the world through different lenses, but have learned to use each other’s strengths to their mutual advantage…mostly. With their new equal partnership comes a booming business, and they opt to hire an assistant in the form of quirky Zoe Chow (Samantha Wan). Zoe also acts as a buffer and translator when Shade and Angie fall into their old habits. With new cases come new faces, each with their own indelible story and effect on Shade and Angie. Private Eyes is produced by Entertainment One (eOne) in association with Corus Entertainment, with the participation of the Canada Media Fund, the Canadian Film or Video Production Tax Credit, the Ontario Film and Television Tax Credit and COGECO Program Development Fund. Hosted by comedian Chris Hardwick and from executive producer and NBA superstar LeBron James comes The Wall, a heart-stopping game with more than $12 million on the line every night – and up to $3 million on a single drop. The rules are simple, get a question correct and a green ball falls down the wall and adds the value of the slot that the ball falls into to the players’ winning total. Miss a question and an ominous red ball falls and deducts the value from the team’s total. Teammates have to work together to build a huge cash prize. At four-stories high and with tremendous cash prizes at stake, “The Wall” was built for one purpose – to change peoples’ lives. Inspired by the creators of the world’s most demanding obstacle course races, Spartan: Ultimate Team Challenge raises the bar on team competitions. Groups of friends, families, and co-workers must work together as they race across specially designed Spartan courses, engineered to test their determination, endurance, and will. Teams of five compete on one of the most demanding courses ever devised and have to push through the pain for the chance to win $250,000. The night shift team of doctors and nurses at San Antonio Memorial’s emergency room are anything but ordinary. The risks they take to save lives straddle the line between heroic and impulsive, but are always worth it. As season three concluded, the fate of the night shift was uncertain – Paul Cummings (Robert Bailey Jr.) led a staff walk-out after his father (James McDaniel) bought the hospital and fired Topher Zia (Ken Leung). Overseas, TC Callahan (Eoin Macken) was left unconscious after a bombing on a refugee camp. Season four picks up just forty-eight hours later with the crew navigating the consequences of their decisions. Back for its 19th season and hosted by Julie Chen, Big Brother follows a group of people living together in a house outfitted with 87 HD cameras and more than 100 microphones, recording their every move 24 hours a day. Each week, someone will be voted out of the house, with the last remaining Houseguest receiving the grand prize of $500,000. Representing the highest honour the Indigenous community bestows upon its own achievers, the Indspire Awards recognize Indigenous professionals and youth who demonstrate outstanding career achievement. They promote self-esteem and pride for Indigenous communities and provide outstanding role models for Indigenous youth. Salvation centers on tech superstar Darius Tanz (Santiago Cabrera) and MIT grad student Liam Cole (Charlie Rowe), who bring Pentagon official Grace Barrows (Jennifer Finnigan) a staggering discovery – that an asteroid is just six months away from colliding with Earth. Somewhere Between features Laura Price (Paula Patton), a superstar news producer in San Francisco and fiercely loving mom. She isn’t crazy, Laura knows her daughter, Serena, is going to be killed. She doesn’t know why, but she knows exactly when it will happen, where, and how. As time runs out, she attempts to keep her daughter safe and fight her fiercest enemy: fate. Coming to primetime with a four-episode order, the half-hour broadcast features Weekend Update anchors Colin Jost and Michael Che as they comment and satirize the news and current affairs of the week, with additional Saturday Night Live cast members also set to make appearances. The two-hour live event honours the year’s most iconic stars from the best films, most-loved TV shows, fiercest music, and the top moments in fashion, digital, sports and comedy with coveted Teen Choice Surfboard awards.